It’s done. 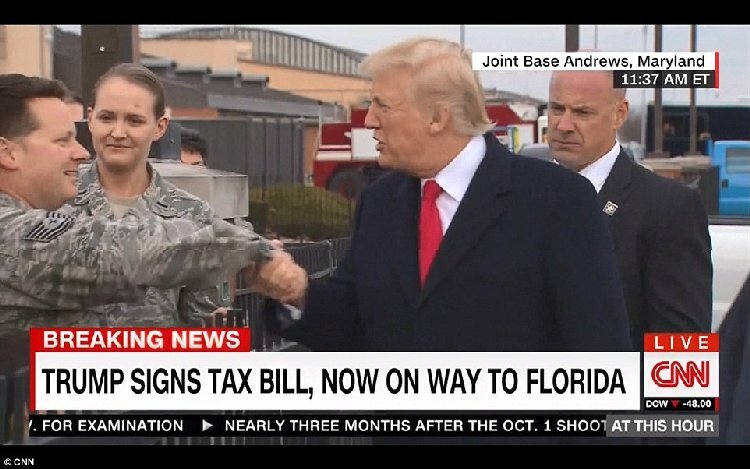 President Trump has signed both the new tax and spending bills into law… just before he heads off to Mar-a-Lago to join Melania, Barron and the rest of the First Family for Christmas. He wanted to make sure Americans got their Christmas gift from him before he left. 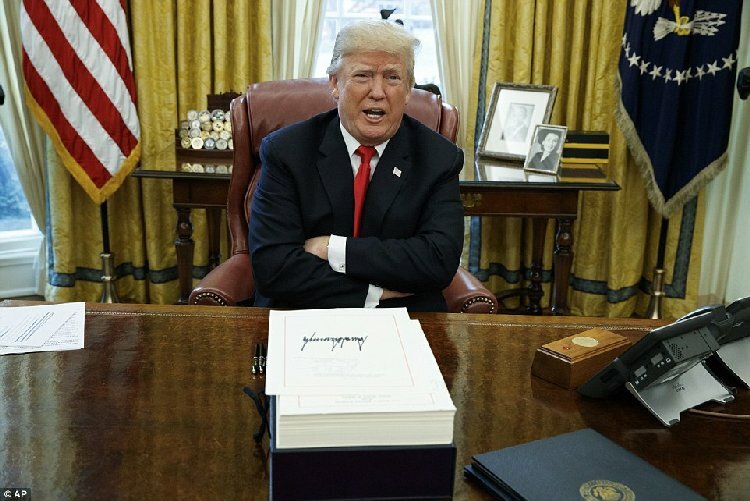 There are going to be an awful lot of Christmas bonuses out there thanks to President Trump this year. 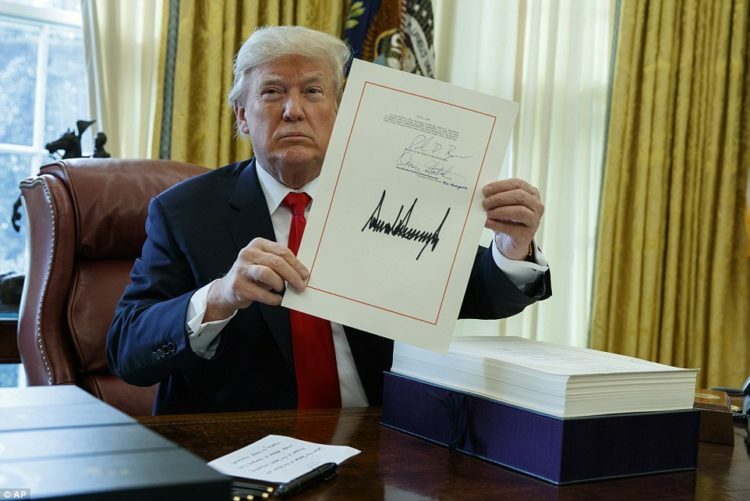 It’s the biggest tax reform in 30 years. Trump touts it as the biggest ever. Not sure on that point, but it is great news. 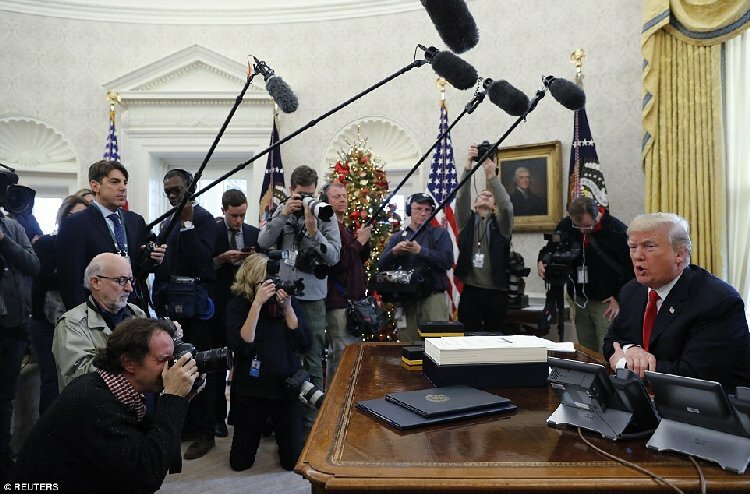 Trump was even in the Christmas spirit with the media. 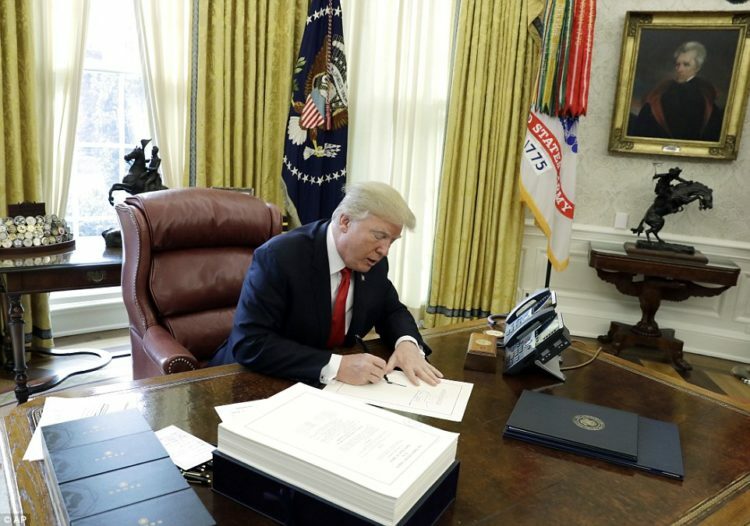 He gave them official signing pens as a memento of the legislation. Not everyone took one. Heh. Those who know that what was done is monumentally a good thing and historic did. “Many of you have worked very fairly, and we appreciate that,” Trump said. Subtle and in your face all at once. Gotta love it. The spending bill will be good through January 19th and averts a partial shutdown. We’ll see what happens after the New Year begins. 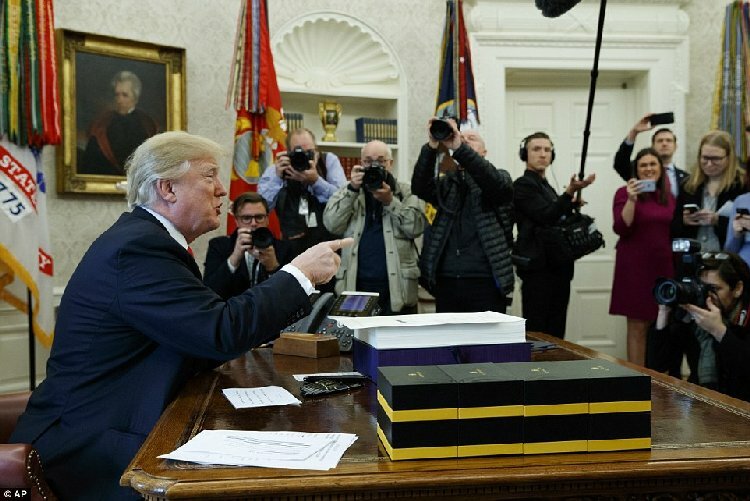 Trump was very proud of the provision that sets aside $4.6 billion for missile defense, saying in a tweet that the funds were “much needed.” And as a parting swipe at the Democrats, he said, “the Democrats will really regret, the Democrats already regret” opposing him. 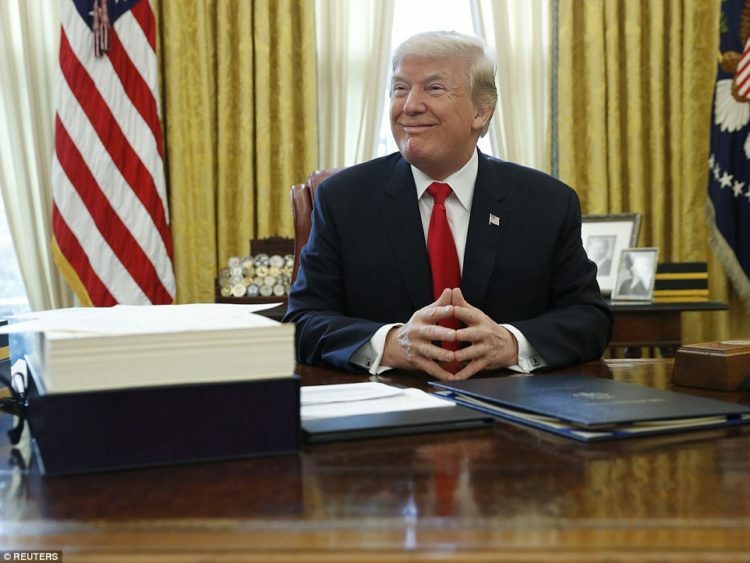 “They wanted to be a part of it,” he claimed, predicting that he’ll get more bipartisan support during next year’s push to fund far-reaching infrastructure projects. 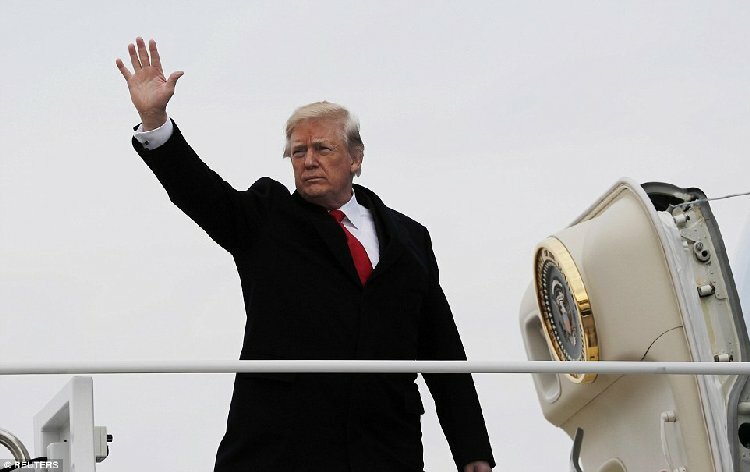 On the President’s way to Mar-a-Lago, he stopped on the tarmac at Joint Base Andrews in Maryland when he saw a group of a few dozen servicemen and women and their families gathered to watch Air Force One take off. “While you were down here, I wanted to say hello,” Trump said, wishing them a Merry Christmas. NOT Happy Holidays. It’s been a great week. I look forward to more good news like this in the New Year.